We took two weeks off and so did the Blue Jays apparently! This week, the guys talk about Kevin Pillar’s hitting display and more talk about young phenom Vladimir Guerrero Jr. 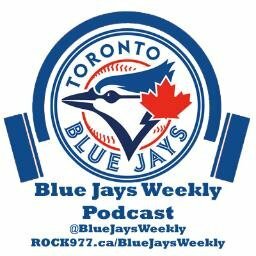 This week the guys praise great weeks by Pillar, Hernandez and Granderson and look ahead to the Jays week of 8 games in 7 days. This week the guys talk about Stroman’s struggles, the crowded outfield and a tip of the cap to Curtis Granderson. This week the guys talk about the Jays great start, Teoscar Hernandez and Joey Bats finds a new home. This week the guys chat about Aaron Sanchez’s near no-hitter, surprises and disappointments early in the season, and the first beer bet of 2018 is made. It’s Opening Day across the major leagues of baseball! The guys preview the upcoming season and talk Tulo’s future, Donaldson’s dead arm, and the new faces on the Blue Jays roster. The guys bid farewell to the 2017 Blue Jays season with an appropriate choice for Beer of the Week, there’s talk about the 2018 season and there’s predictions for major awards and World Series champs.